Two prints which I bought along with the drawings of the two previous chapters are this weeks focus. One is certainly art but the other might be a surprise. Let’s begin with the unexpected. London Life Association Policy @ 1850 ? I guess this is recommended for most people whether one is single or married, a parent or not. Life insurance is something we must all consider the importance of at some point in our lives but one would not necessarily consider ones policy art. 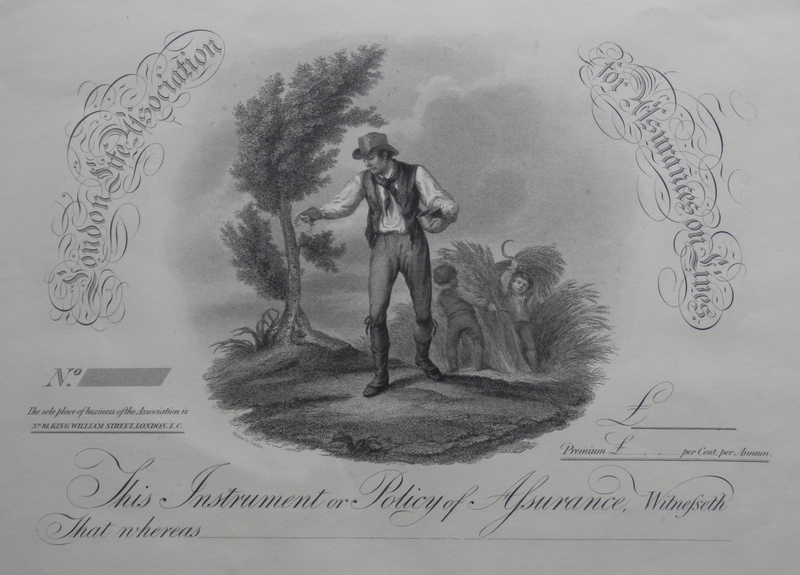 #LondonLifeAssurance was established in 1806. It traded from St Paul’s Churchyard for 5 years, moved to Cannon Street and operated for 27 years and then moved to 81 King William Street in 1838 and remained in business there till 1981. The address on this policy is from King William Street so comes from 1838 onwards. I have not yet seen any policies which look like this but if one is down-town London head for 81 King William and you will find the seal of the London Life Association above the front door. The building is now the Moscow Narodny Bank. A finely executed image at the center of the policy shows a man in 18th century garb sowing the ground and behind him a pair of young children reaping the harvest. Are we to reap what we sow or possibly to others comes the benefit of our labours which the image seems to imply. And so to the banks of the #GangesRiverAboveHaridwar for our next image. 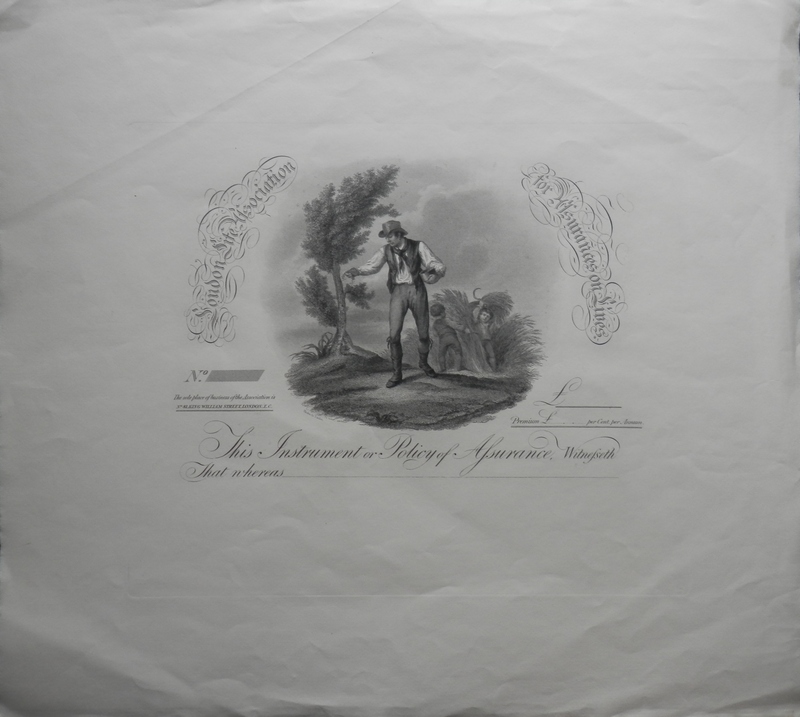 A lithograph by #FrederickSchenck considered the leading lithographer in Scotland around 1850. A well executed image after a drawing by Capt R Maclagan who was part of the #BengalEngineers and first principal of the #ThomassonCollege, Roorkee, NWP, India. I have found little in regards to Capt. Maclagan as an artist and no other images by him. Schenck and MacFarlane were partners from 1850 to 1859 but the company name ran until 1871. Apart from Schenck’s artistic commercial work and book illustrations, he produced a large range of lithographed portraits. 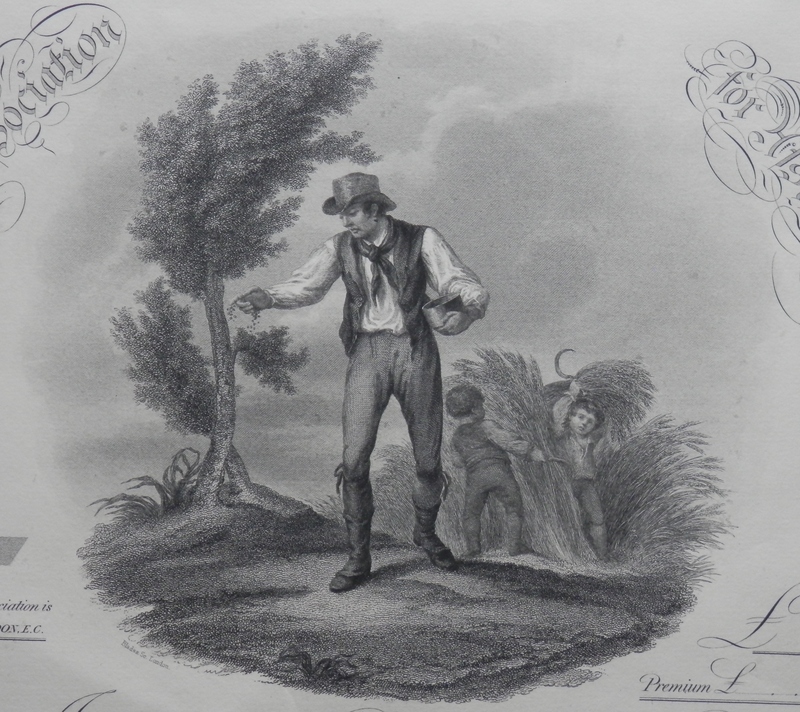 He argued for lithography in Scotland with such furtiveness, taste and skill that it advanced from mere trade to a place among the fine arts of the country. 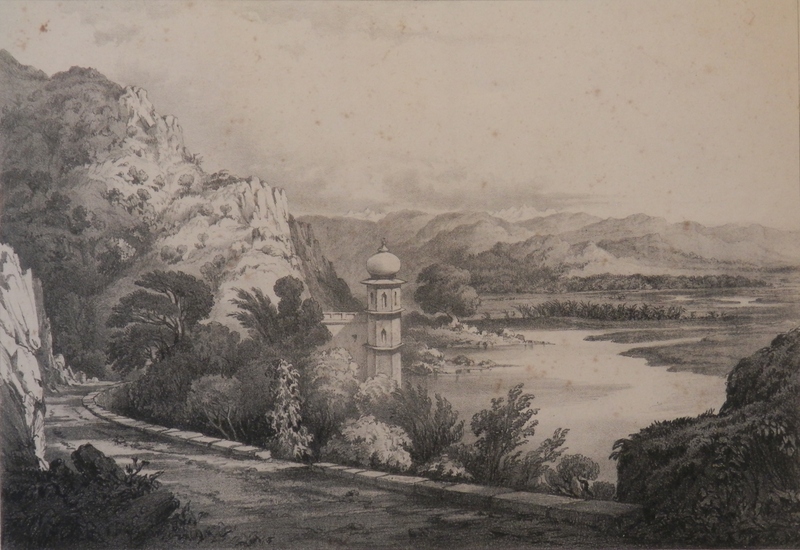 This entry was posted in Aquatint, Etching, Lithographs and tagged cherub, farmer, Ganges River, Haridwar, harvest, India, London Life Association, policy, reaping, sowing. Bookmark the permalink.